Growing up in Greenville, South Carolina, Rebekah discovered she had a knack for cutting her friends’ hair. After completing her training at the Toni and Guy Cosmetology School in Dallas, Texas in 2005, she moved to New York City. Rebekah has worked in some of the premier NYC hair salons including Bumble and Bumble, Frederic Fekkai and The Oscar Blandi Salon. Throughout her career, Rebekah has styled for fashion shows, editorial shoots, weddings and has participated in makeovers. Rebekah’s work has been featured on Good Morning America, The Rachael Ray Show, Oprah,The AKT Happy Hour Workout, Bravo, A&E, Victoria’s Secret Fashion Show and The Tonight Show Starring Jimmy Fallon. She has styled celebrities including Ellie Goulding, Sarah Michelle Gellar, Gemma Chan, Kelly Preston, John Travolta, Kelly Ripa, Anna Kaiser, Mary-Kate and Ashley Olsen, Jenny McCarthy, Shakira and many more. In 2009, Rebekah transitioned from the salon to freelance hair styling. She specializes in styling for weddings, engagement photo shoots, and other special occasions for clients based in New York City, Philadelphia and beyond. She loves collaborating with clients to create looks that are elegant and uniquely personal. Every bride wants to look her very best on her wedding day. 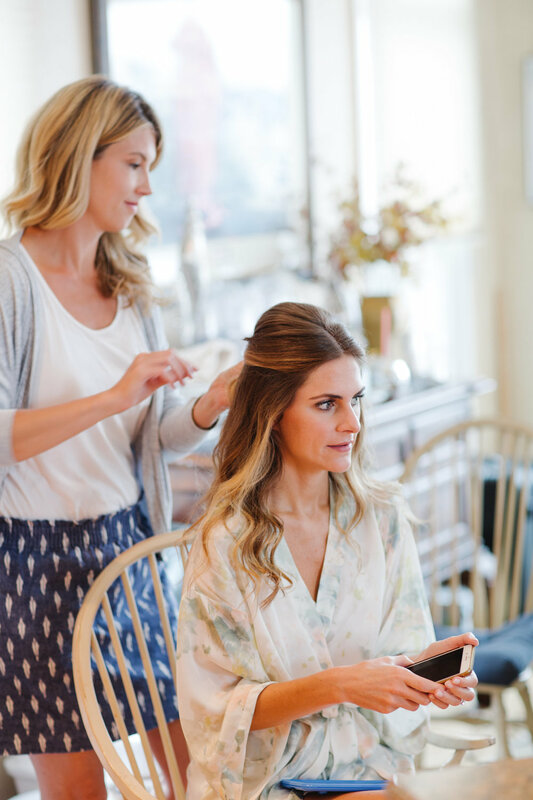 Here are the stress-free and easy steps you will follow with Rebekah to make sure your hair looks amazing for your big day. In an initial phone call, you will discuss not only the logistics and set up an in-person consultation, but also have the chance to express your personal style and what kind of hairstyle you are interested in. You can also discuss if you want her to bring assistants to style the rest of your wedding party and other details. If you’re interested in a makeup artist, Rebekah can also give you recommendations of trusted professionals through her personal network. At your in-person consultation, which usually takes one to two hours, you and Rebekah will discuss options for your wedding-day hairstyle, and she will create up to two different looks for you to try out. Because Rebekah doesn’t work out of a salon, she is able to come to your home for the trial saving you valuable time. She’ll style your hair to give you a glimpse of options for your wedding and make sure you love how you’ll look. The morning of your wedding, Rebekah will be on time and ready to begin your transformation. You’ll find her presence and professionality reassuring on your big day. 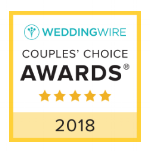 If you choose, she and her team can offer her services for your rehearsal dinner and/or style your whole wedding party - even down to the flower girl! You’ll look as amazing as you’ve always imagined and have a style that lasts all night.